The Slider is the seventh studio album by the glam rock band T.Rex , released on 21st July 1972 by record label EMI . Two singles, “Telegram Sam” and “Metal Guru“, were released to promote the album. Bolan described the song “Metal Guru” as a “festival of life song”, and that he related “Metal Guru” to “all gods around… someone special, a godhead. I thought how god would be, he’d be all alone without a telephone” were released to promote the album. The album notes credit Ringo Starr with the front and back cover photographs. The photographs were taken the same day that Starr was filming the T. Rex documentary “Born To Boogie” on John Lennon’s estate, Tittenhurst Park . The two singles “Telegram Sam” which was released January 1972 and charted in the UK for twelve weeks and peaked at number 1. The second single was “Metal Guru” which was released in May 1972 and charted in the United Kingdom for fourteen weeks and peaking at number 1 too. The very next year, Tyrannosaurus Rex was reborn. 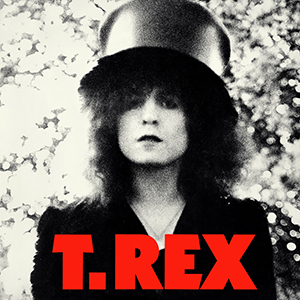 Bolan stood up, plugged in a Les Gibson, replaced Took with Mickey Finn, and began to enunciate each syllable with lip-smacking aplomb on the band’s first single as T. Rex. Propelled by handclaps and a strutting gamecock of a guitar lick, “Ride a White Swan” climbed up the UK charts to No. 2. T. Rex was bopping. So much so that The Warlock of Love sold over 40,000 copies, making Bolan a best-selling poet. I love The Slider but I will be the first to admit that “Buick MacKane” was not the most exciting track for me on that album. However, this live performance of “Buick MacKane” from Musikladen is just so good . I’ve never seen Marc Bolan rock so hard! I’m thinking it’s because there’s no glossy Tony Visconti production to get in the way of that gorgeous loud Orange Cab speaker – now that’s what a Gold Top Les Paul should sound like! He almost reminds me a little of the sound of Black Sabbaths Tony Iommi . The band featuring Bill Legend, Mickey Finn, and Steve Currie are solid – this is peak Marc and T. Rex, right here! “Buick MacKane” Live on Musikladen February 14th, 1973 , Musikladen was a German music TV series that aired from 1972 to 1984. There are tons of excellent clips from the show on YouTube.